Reservations available by request for parties of 1-14 guests. 18% Gratuity is added to all parties of 6 or more. We would love to host your event for your group of 15 or more. We are proud to have a talented events coordinator on staff who will gladly handle the details of your special occasion. Please click the reservation link below, even if you have a large group, and provide us with as much detail as possible and we will connect with you within 24hrs to start planning your event! 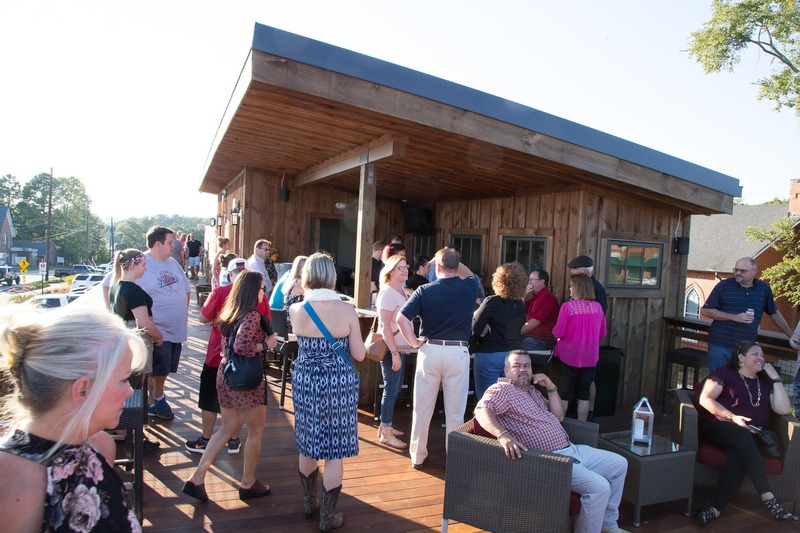 We know everyone loves the view of our wonderful hometown from our rooftop deck. In order for everyone to have an enjoyable and safe experience there are a few rules when dining with us on the deck. Table service is seated by the downstairs hostess only, they are not first come first serve. Servers will greet and take orders from all those seated. All standing room and bar seats will need to go to the bar to place any orders for food and drinks. No persons under the age of 18yrs on the rooftop after 5pm daily, except where the entire rooftop has been reserved for a private event. To ensure the safety of our guests dining with us on our beautiful rooftop, all drinks by the glass will be served in GoVino brand Polycarbonate stemware. Polycarbonate is a neutral substance which will not affect the texture or taste of your drink. For those who order wine by the bottle, your wine will be presented in stemless glassware if you are seated at a table or at the bar. All service in the downstairs dining will be regular glass stemware as is appropriate for the type of drink you order.